New pipeline projects to take crude out of the Rockies are starting to make the map look like a spider’s web. The latest proposal comes from Spectra Energy – owners of the Express and Platte pipelines that ship crude from Hardisty to Wood River via Guernsey, WY. Spectra hope to build a pipeline carrying light sweet crude from Guernsey to the Midwest pipeline hub at Patoka. The project would bypass Cushing and push more light crude to the east with potential access to Midwest refineries or even the East Coast. Patoka is also poised to become an origination point for shipments to the Gulf Coast. Today we review the Spectra project’s chances in a crowded pipeline field. 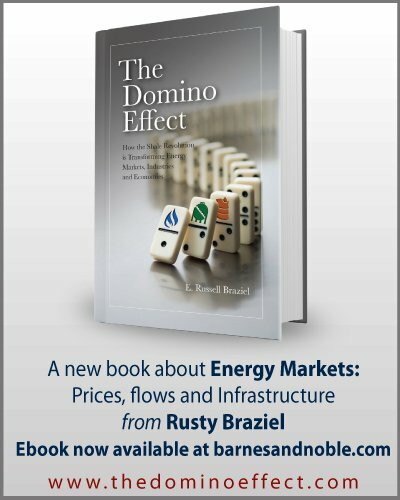 Hard on the heels of our recent update on crude pipeline takeaway plans for the Denver Julesburg play in the Rockies Niobrara basin (see Hey Mr. D.J. Keep Playing That Song), came an announcement by midstream pipeline company Spectra Energy that they are talking to interested shippers about a plan to build a new 400 Mb/d crude pipeline from their Guernsey, WY terminal across the Midwest to Patoka, IL (south of Chicago). The Spectra pipeline would likely follow the company’s existing right of way for the Platte pipeline from Guernsey to Wood River, IL and then continue to Patoka along the route of the Enbridge Woodpat pipeline. If the plan goes ahead Spectra expects to hold a formal Open Season in early 2015 and bring the pipeline online (assuming permitting goes smoothly) in 2017. The existing Spectra Platte pipeline in the Rockies ships 145 Mb/d of Canadian heavy crude to Wood River, IL that is delivered to Guernsey on the Spectra Express pipeline from Hardisty, Alberta (280 Mb/d). Spectra say the Platte pipeline to Wood River has been in apportionment since 2005 because shipper demand for space consistently outweighs the line’s capacity. 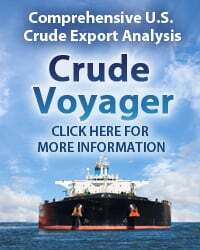 [Apportionment means that contracted shippers can have their allocated volumes reduced proportionate to their commitment if monthly pipeline nominations exceed capacity.] The new Spectra pipeline would carry light crude from Guernsey to Patoka and not be connected to the existing Platte pipeline. 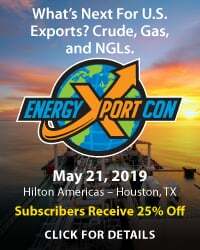 We have just released our tenth Drill-Down report for Backstage Pass subscribers examining the adequacy of crude storage in the Houston area, including a tabulation of major storage facilities in the region. More information about Houston We Have A Problem here. As we described in “Hey M.R. D.J.” there has been a spate of new pipeline expansion proposals recently announced in the Rockies that are primarily targeted at getting growing supplies of light crude from the Bakken in North Dakota and the two largest Niobrara shale plays – the Powder River Basin (PRB) in Wyoming and the Denver Julesburg (D.J.) in Colorado, to markets in the Midwest (via Cushing, OK) and the Gulf Coast. Figure #1 below summarizes all these crude pipelines and proposals in what is rather a busy map. The red dashed arrow represents the new (as yet unnamed) Spectra pipeline proposal from Guernsey to Patoka. Incoming light crude from the Bakken flows into Guernsey on the Butte Loop and Double H pipelines (solid green arrow) that between them can carry 310 Mb/d. Enterprise Product Partners is proposing to add up to 340 Mb/d of capacity with its Bakken to Cushing pipeline project (purple dashed arrow). Various gathering systems bring more light crude into Casper, WY (north of Guernsey) from the PRB shale. The newly completed Tallgrass Pony Express pipeline carries up to 230 Mb/d from Guernsey to Cushing (solid orange arrow) and Tallgrass has proposed expanding or looping this pipeline to increase its capacity to 400 Mb/d. From the D.J. basin in northeast Colorado a 90 Mb/d lateral to the Pony Express (short light green line on the map - NECL) will be completed in 2015. There is one existing pipeline from the D.J. 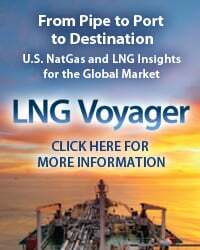 basin to Cushing – the recently expanded (to 150 Mb/d) SEMGroup White Cliffs pipeline that could also be doubled again to 300 Mb/d according to that company. Two additional new projects from the D.J. 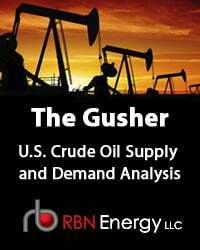 to Cushing are the Rimrock Midstream and NGL Energy Grand Mesa project (130 Mb/d) and the Magellan Midstream Partners Saddlehorn pipeline (200 Mb/d). All of these pipelines are represented on the map by the solid blue arrow. To access the remainder of Patoka Bound? 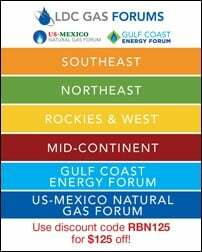 New Route to The East For Rockies Crude you must be logged as a RBN Backstage Pass™ subscriber. Go D.J. 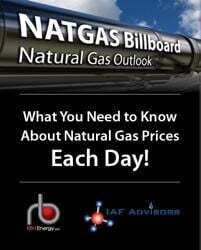 – Will Niobrara Crude Production Keep Up With Pipeline Infrastructure?